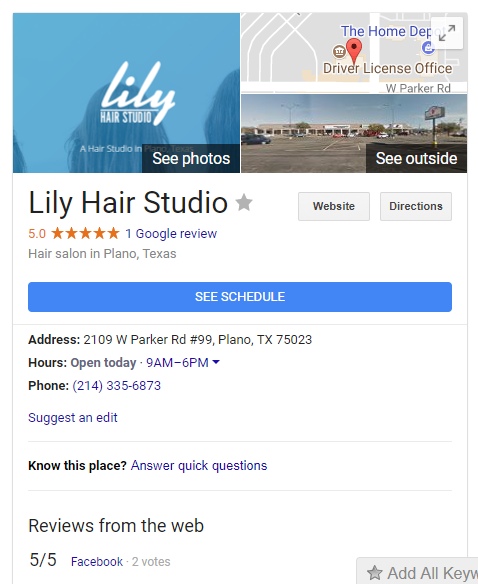 Another new feature for Google My Business was released quietly this past month. 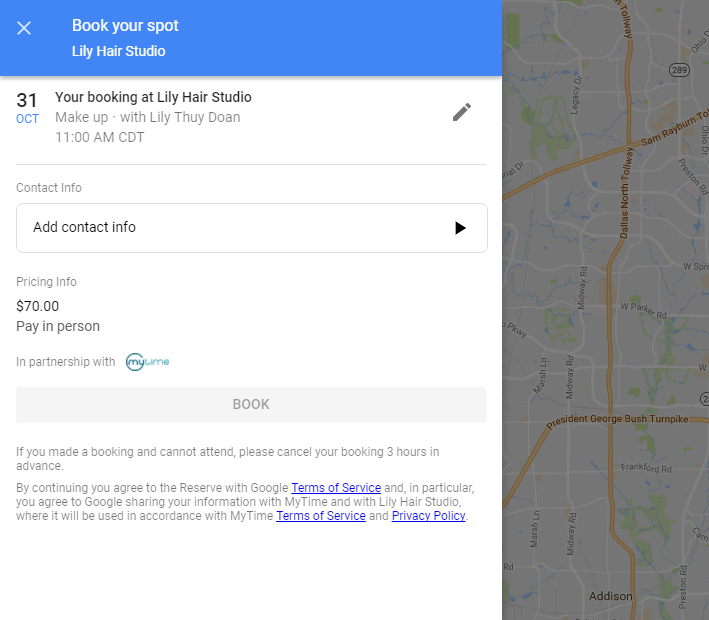 Google Bookings is an automatic feature that allows potential customers to book appointments with you through your listing. The ability for clients to book directly through a Google listing is another way that Google is making it easier for your clients to contact you with fewer clicks, which means more conversions. At first, I thought setting this feature up would entail a few authorizations and integrations, but it's actually much more hands-free than that. You might even already have it! The Booking feature is not Google appointment setting software. The feature is simply an integration which automatically detects your company information on partner appointment setting programs. 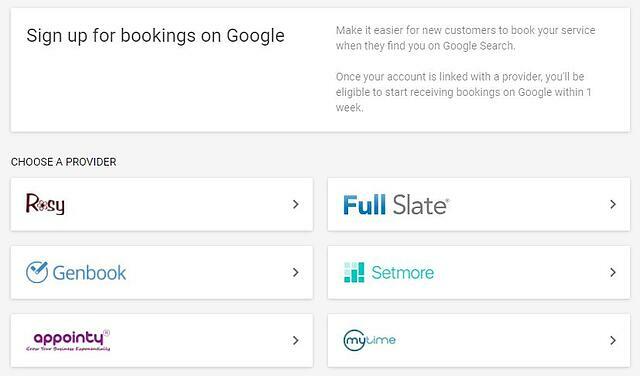 As soon as you log in to manage your Google listing, you'll be greeted with a block that gives you an option to "sign up for Bookings". Once you click to sign up, it will give you the option of choosing the program that you want to use. Clicking on the program opens up their main website and will ask you to set up an account. It's important that when you create an account with whichever booking software you choose, that you are using the same NAP (name, address phone number) info as listed on your GMB listing. It then takes about a week for Google to detect your company on one of the partner booking programs. Once it does, your listing and booking software will be automatically linked. In fact, if you're already using one of these programs, your Google listing might already be linked to it. You should take a look and see! 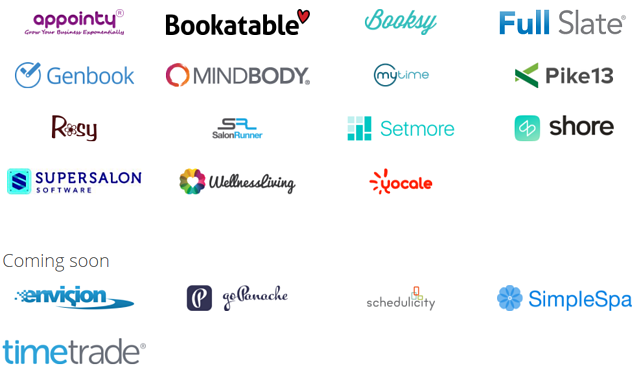 Once your GMB listing is connected to the scheduling software, your listing will be adorned with a large, blue, attention grabbing, "see schedule" button. Once the prospective client clicks to see your schedule, they are given the option to schedule appointments and services with costs listed. This information is pulled directly from the scheduling software, so if you want to add more or make corrections, you'll have to do that in the linked appointment software. When the client clicks to book an appointment, it opens up a confirmation window where they can add information for you. Insights are our favorite, and the insights that Bookings shares in Google are a lot of fun. Google Booking is a feature that is automatically detected and attached to your listing. 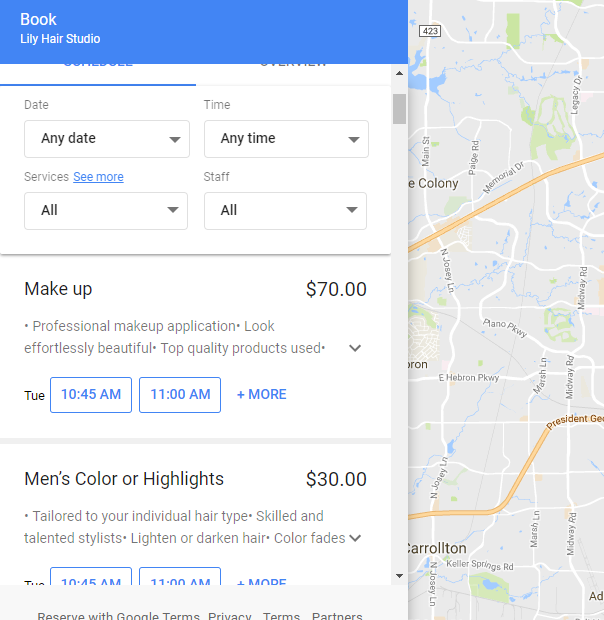 If you're a beauty and/or wellness provider, it allows for your clients to book appointments with you through your Google listing. The feature also provides a lot of insights into your client's purchases and your sales overtime. 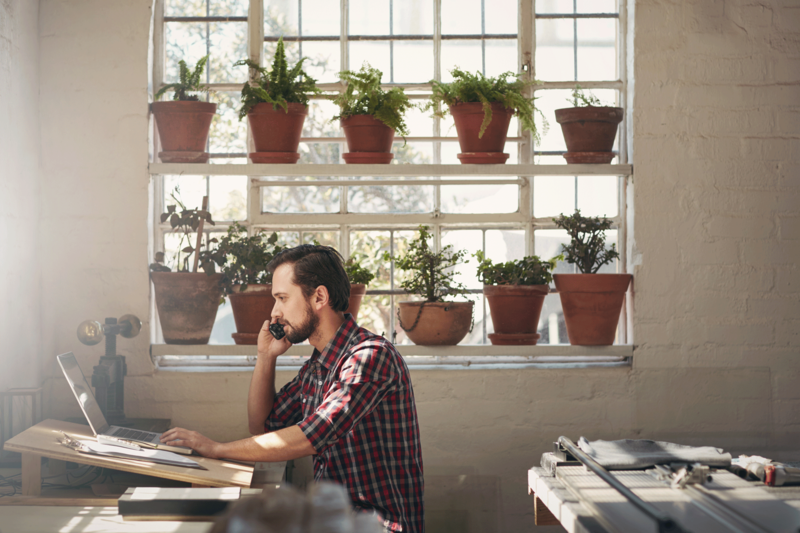 As with everything marketing, the easier you can make it for your client to contact you, the more likely they are to do it. 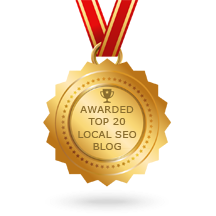 And adding appointment setting directly to your Google listing takes away an extra step of visiting your site. Another new feature well done by Google My Business.